Pwllheli "salt water pool" is an old market town at the entrance to the Llyn Peninsula which received the Borough Charter over 600 years ago by the Black Prince. 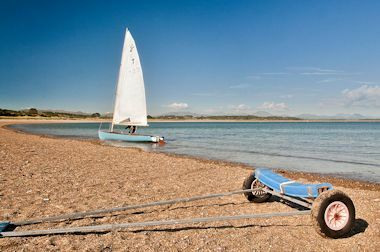 It is an ideal base for touring the Llyn Peninsula and the town's Marian y De beach has obtained a European Blue Flag Award. The town is full of character with its narrow streets, shops and cafes. Every Wednesday the open-air market is held on Y Maes. 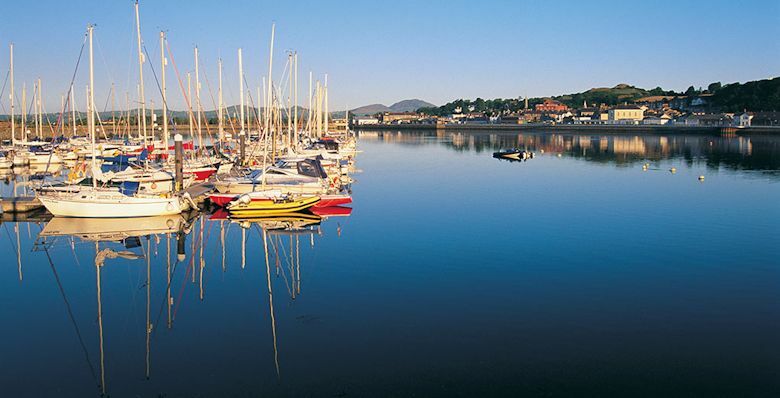 Hafan Pwllheli Marina. The marina is reputed as being one of Britain's finest marinas and sailing centres and a ‘European Centre of Excellence’ in Sailing, and the venue to a number of National and International sailing and water sports events. There is also a local leisure centre, which can be used when the weather is not so good. History tells us that in early Christian times the Llyn Peninsula was a land of saints and pilgrims, hill forts, holy wells and small churches of which the remains can often be seen. The area is soaked in early Celtic religious history and up to 20,000 Saints are allegedly buried on Ynys Enlli or Bardsey meaning the "Island of Strong Currents". Pwllheli harbour has a long history - wines from the Continent were imported through here and the coast was a haven for smugglers and pirates. As recently as the last century it was one of the main fishing and ship-building centres in North Wales with nearly 30 ships in production at the same time. 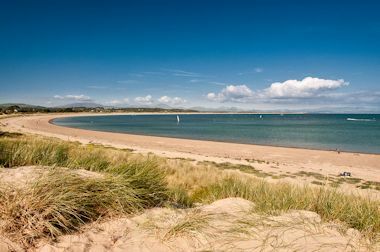 The arrival of railways in Pwllheli allowed it to develop further as a centre of social and political life, business and tourism. Llanystumdwy is the home of "Highgate", the childhood home of David Lloyd George, the famous Liberal Statesman who later became Prime Minister. A Victorian schoolroom museum is dedicated to his life and his grave can be found by the River Dwyfor. The memorial gates by his grave were a gift from Pwllheli in 1952 and carry the elephant and castle which figure in the town's coat of arms.